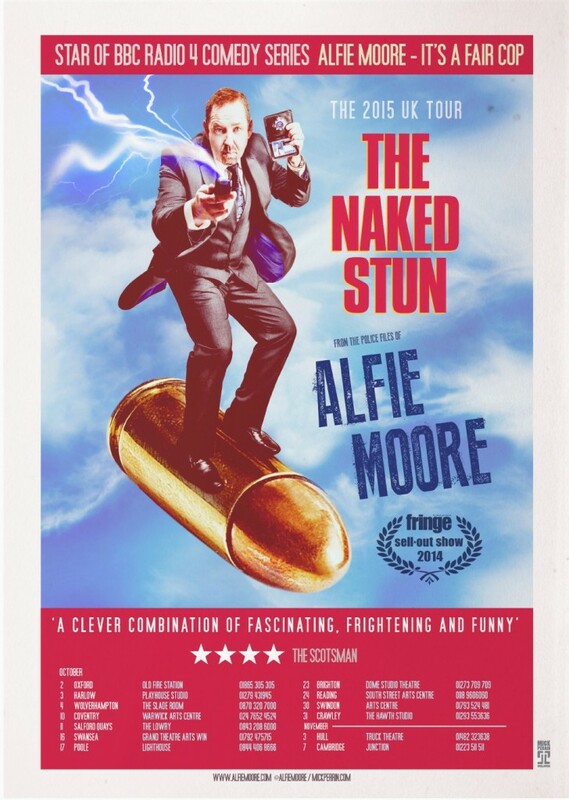 Following last year’s sell out run at the Edinburgh Festival, former Police Sergeant turned stand-up comedian, and star of BBC Radio 4 ‘It’s a Fair Cop’, Alfie tasers his way through 90 minutes of hilarious and fascinating anecdotes drawn from his eighteen years on the beat. The Naked Stun is based on the true story of his dogged determination to track down a ‘serial flasher’. A fast-paced show that twists and turns, exposing the seedier side of crime investigation, before reaching a shocking conclusion. CLICK VENUES for information or to BOOK TICKETS !